When Fred Nelson was ready to retire from retail ownership of the store he had owned and operated since 1954, he didn’t want to see the business come to an end. In his search for a new owner, he wanted to find someone excited about the opportunity, and ideally, someone who had children who might show interest in one day running the business. So when Nelson approached Roy Kanis about taking on ownership of Nelson Agri-Center True Value in Viroqua, Wisconsin, in 1989, Nelson was confident the business would have a bright future. Roy’s son Dan Kanis graduated from college and began working as a sales representative for an agriculture company. In 1995, Nelson’s hope of a family leading his store forward became a reality when Dan entered the retail operation alongside his father and their manager and minority business partner, Mark Brueggen. 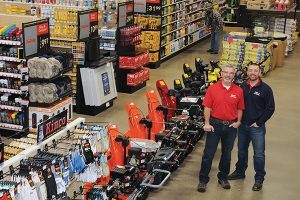 In 1998, Roy, Dan and Mark invested in a second hardware store about 50 miles away in Prairie du Chien, Wisconsin, which they renamed Nelson True Value. Many more changes and updates have influenced the operation since then, but now, Dan’s son Jacob is the next in line to lead the Nelson True Value operation. 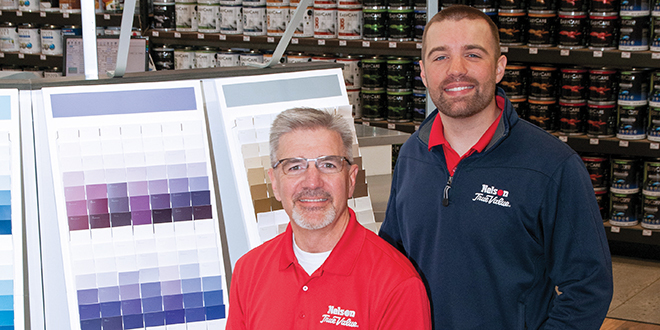 Dan Kanis and his son Jacob Kanis run their two-store operation in Wisconsin, Nelson True Value together. While Dan was excited about Jacob or any of his children joining the family business, he knew he wanted them to attend college and get work experience outside of the store before making that commitment. Jacob pursued his education and began his career with Menards and United Rental before returning to the business. According to Jacob, these jobs gave him an inside look at what worked and didn’t work in retail and rental. As they built the new store, Jacob was there to oversee construction. He also became the store’s manager. For Dan and Jacob, operating retail businesses in small communities is something they are passionate about. Dan and Jacob understand the importance of investing in the communities they serve. 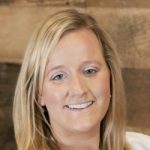 Both stores face big-box competition from chains like Walmart and Tractor Supply Co., but the team believes employee knowledge and deep inventory help set them up for success. Nelson True Value was one of the first stores to implement the True Value Inspiration Realized color center, a modular display. Nelson True Value has been part of True Value since the mid-1970s, and according to Dan, the wholesaler has always been a supportive partner to their family business. 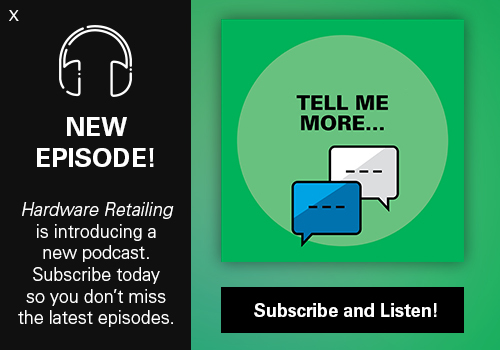 One area where Dan and Jacob have been able to improve and expand with help from their wholesaler is their rental department. 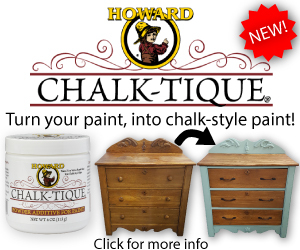 Paint is another product area where True Value has helped the store stand out against competition. 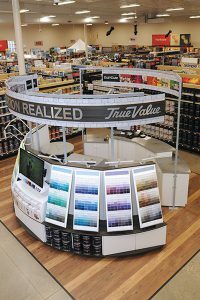 It was one of the first locations across the country to have the updated True Value Inspiration Realized color center, which is a modular program that can work in stores of all sizes. 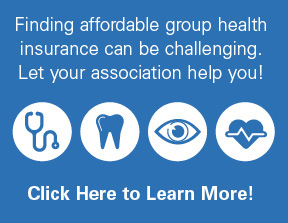 The business utilizes other True Value programs, including its marketing and advertising initiatives, as well as the True Value Rewards program. When True Value announced plans to sell 70 percent ownership of the organization to ACON Investments, Dan says he was skeptical due to his loyalty to the established co-op model. However, Jacob had a more objective perspective, and they decided to use the return on capital to strengthen the future of the business. As the father-son team continues to focus on the future, they know they can count on True Value to provide innovative products and programs to help the business succeed.